This time last week, I didn’t know anything about Denis O’Brien. Here’s what I learned in the past seven days. Denis O’Brien was born in County Cork, Ireland, on 19th April 1958. He is probably Ireland’s richest native-born citizen. He owns Communicorp, a media company launched in 1989 that now owns 42 radio stations in 10 European countries (the UK, Bulgaria, Czech Republic, Estonia, Finland, Hungary, Ireland, Latvia, Ukraine), including all Irish radio stations not run by the state broadcaster RTÉ. The UK radio stations owned by Communicorp are: Capital South Wales, Capital Scotland, Heart North Wales, Heart Yorkshire, Real Radio XS, Smooth East Midlands, Smooth North East, Smooth North West. He also has a controlling interest in the Independent News & Media group, which, in Ireland, comprises the Irish Independent, the Irish Daily Star, the Sunday Independent, the Sunday World, the Evening Herald in Dublin and several regional newspapers: and, in Northern Ireland, the Belfast Telegraph Group. He also owns telecoms provider Digicel, which is based in Jamaica, incorporated in Bermuda, has about 13 million wireless users, and operates across the Caribbean, Central America and Oceania. A listing of companies owned by Denis O’Brien can be found at OpenCorporates. Alistair Carmichael has been the LibDem MP for the Orkney and Shetland constituency since 2001. It’s been a distinguished constituency for the Liberal Party for over sixty years. In 1950, Jo Grimond won the Orkney and Shetland constituency for the Liberal Party (defeating Sir Basil Neven-Spence, whose family had owned land in Shetland for generations and who had been the Unionist MP for twenty years). Grimond was one of nine Liberal MPs elected in 1950, and he was to hold his seat for thirty-three years: he stepped down in 1983. Jim Wallace succeeded him, and Alistair Carmichael succeeded Wallace in 2001. Jim Wallace went on to become the LibDem MSP for Orkney until 2007, when he was succeeded by Liam McArthur: Shetland has had one MSP since 1999, Tavish Scott. Jim Wallace and Tavish Scott were each at one time leaders of the Scottish Liberal Democrat Party, and Jo Grimond was twice leader of the Liberal Party. Alistair Carmichael is deputy leader of the Scottish Liberal Democrats and was Secretary of State for Scotland from 7th October 2013 to 8th May 2015. The last time the Orkney and Shetland elected a parliamentary representative who wasn’t a Liberal / LibDem was in 1945 (Sir Basil Hamilton Hebden Neven-Spence, as one would expect, was standing for the Unionist Party). Orkney and Shetland local councillors are invariably independents. The LibDems have had worse elections than in 2015, though not for some time. In 1951, Jo Grimond was one of only six Liberal MPs in the Commons: but from 1956 onwards there were nine, from 1966 twelve – and apart from a 10-month dip in 1974, they were never again in single figures until 7th May, 2015: when Alistair Carmichael beat the SNP surge by 817 votes. it had been “quite a remarkable election campaign”. He congratulated the SNP on quite a remarkable political achievement. “We truly live in remarkable political times in Scotland. He said it was a tremendous privilege to retain the seat and thanked the voters of Orkney and Shetland. Shetland MSP Tavish Scott said he was relieved and delighted that Mr Carmichael had retained his seat and held off “the Tsunami” of SNP support that had been shown on Mainland Scotland. If Ed Miliband and David Cameron have both learned something terrible is coming before 2020 that they would rather be in Opposition than have to deal with as Prime Minister, this could explain both David Cameron’s lacklustre campaigning and Ed Miliband’s curious statement last night on Question Time: neither one wants to be Prime Minister. However, this does seem improbable to me. 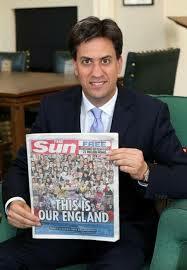 Take it as a given: Ed Miliband wants to be Prime Minister. As Johann Hari found out to his cost, you can game Wikipedia for a long time, but in the end, if you violate their editorial process, they are remorselessly thorough in tracking you down. Wikipedia allows almost anyone to edit pages about almost anything. But, to avoid conflicts of interest, you may not amend your own information, with the exception of very basic biographical detail (for example, if Wikipedia has your date of birth wrong). In 2012, Wikipedia discovered that four usernames – 217.155.38.72, 90.196.154.2, Historyset and one that’s surfaced again recently, Hackneymarsh – had been linked to “computers in the constituency office of the Tory chairman”. references were deleted about his role in a 2007 byelection in west London where he impersonated Liberal Democrats online in an attempt to discredit his rivals – but forgot that he had logged on as himself. The campaign was notable as Shapps was then a vice-chair of the Tory party responsible for campaigning. The Tory candidate came third when many felt he was favourite to win. However, the episode was airbrushed away on the online encyclopaedia. 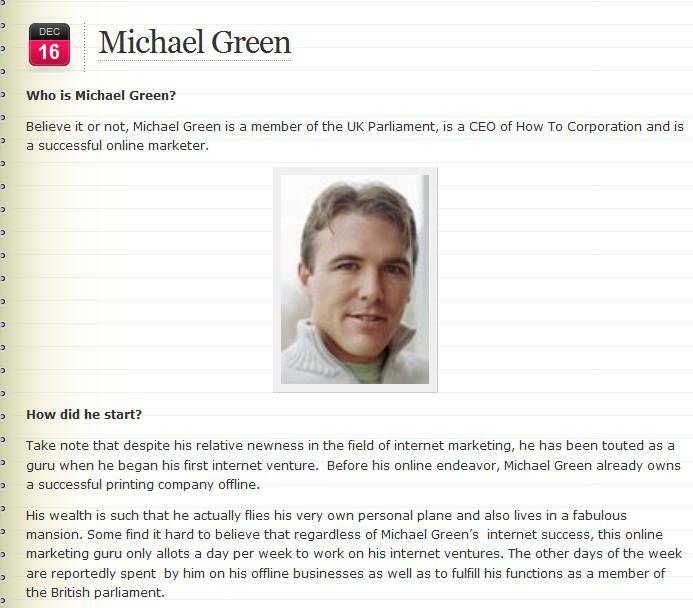 In another series of changes after the 2010 election, Shapps’s entry removed references to the company HowToCorp, which the Guardian has exposed for breaching Google’s code of conduct, and to his online pseudonym Michael Green – with a comment posted that this mention of his “alter ego” was linked to a diary item that was an “unreliable source”. Gone too were links to sites which revealed the Welwyn Hatfield MP paid back £3.79 during the expenses scandal, replaced by glowing references to a Daily Telegraph piece describing him as an “expenses saint”. The revelations come after it emerged that Shapps had changed his entry in the online encyclopedia to correct the number of O-levels he obtained. He had also inserted testimony to his “influential” work on homelessness. Did the Mail tip off Cameron? When ELLE asked him, along with Ed Miliband, the leader of the Labour Party and Nick Clegg, the Deputy Prime Minister and leader of the Liberal Democrats (and other influential men including Benedict Cumberbatch, Joseph Gordon Levitt and Tom Hiddleston) to wear the Fawcett Society’s iconic ‘This is What a Feminist Looks Like’ t-shirts for ELLE’s inaugural feminism issue (on sale October 30), he refused. Not once, but five times. It’s possible, of course, that Cameron refused because he knows he isn’t a feminist. Not only is he known for telling the Shadow Chief Secretary of the Treasury in the House of Commons to “calm down, dear” (six times), his government has since 2010 imposed austerity cuts that place a disproportionate burden on women. Who are, or were, the UKIP Women’s Board? They were a Facebook group that existed briefly and seems to have deleted itself. There’s a Facebook group called Women Against UKIP. They joined earlier in 2014, and they now have upwards of 5000 Likes. At the end of May, Women Against UKIP had upwards of 3000 Likes, as I recall. As you can see from the screenshot at the top right, taken on 4th June, in four days UKIP Womens Board had 3153 Likes. Quick work in four days! A lot of women must support UKIP! Yes. 3185 women support UKIP. Aged between 18-24. In Istanbul.